Don’t we all have that friend? We’re going with “she” just because it usually is a female friend. She marks her August calendar off day by day. What is her deal? Is she that ready for the start of football season? Did she get heat stroke and has to stay out of the sun? Maybe she’s a parent wanting her kids back in school. It’s actually none of those. She can’t wait for her first pumpkin spice latte of the season, and she knows it is almost here. Cute story, hers? Your coffee-loving friend’s happy, happy, joy, joy dance is coming earlier than it ever has before. But, there is more at play here than just sweet coffee tales. Pumpkin Spice 2018 is an important Starbucks issue. What is so important about this iteration of a seasonal drink? Well, it seems people are hesitant about a portion of their favorite Mermaid’s menu. That makes Pumpkin Spice important to the 2018 equation. It has to be big! It has to be bigger than it ever has been! We’ve danced around the subject, but now it is time to come clean. Where did Starbucks’ Midas touch go wrong? Folks aren’t ordering the franchise’s hot, sweet drinks. In particular, Frappuccino sales are foundering. Receipts on these items have fallen off. In fact, way off when compared to same-store sales a year ago. The news is no better when looked at from a broader spectrum. Starbucks chose several years ago to go all in on hot beverages, sweet and otherwise. This year, in particular, the customer base is telling the franchise it’s headed the wrong way. Since the start of 2018, cold beverages account for about 54% of Starbucks’ beverage business. That’s up 17% since the end of 2013. The powers that be at Starbucks’ head office in Seattle didn’t see this trend in advance. So, the company needs a win, and they need Pumpkin Spice to lead the way. This could get a bit tricky. 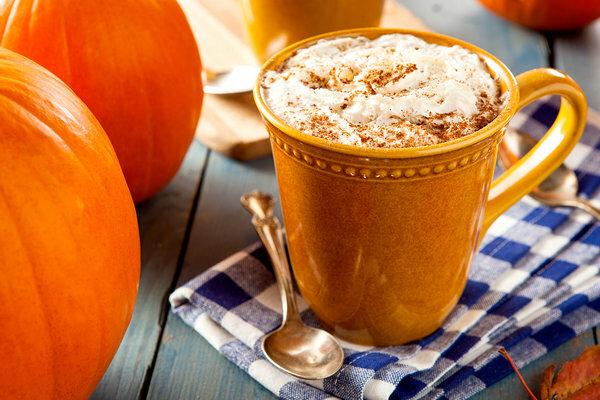 A Pumpkin Spice latte can come as a cold drink…but who does that? By definition a “latte” is a hot espresso softened with heated milk. See? The word “hot” is in the very name! That begs the question, “what if coffee drinkers reject even the tried and true PSL in favor of lower-priced iced coffee?” That’s the question in the way your barista/manager looks at you as you begin your order. The manager knows the shop might suffer if corporate chose to stand pat with a gourd past its prime. “Can’t niche market research predict whether everything will be okay,” you ask? No, it can’t. This is news and its breaking during this crucial month in the corporate year. So, that’s why your friend can get her pumpkin spice on earlier than normal. Starbucks added a few extra PSL days by launching on August 28, instead of September 1. Those prices may not faze you if you are treating yourself to one (ok, two) per week. But, buy for Jen, Jan, and Renee in the office, and it’s goodbye to a ten AND a twenty. Starbucks understands and is carefully watching their unusually loyal (in this industry anyway) customers’ spending habits. If pumpkin spice isn’t flowing well, the organization might make significant changes next year.